Lights and security cameras are some of the top smart home devices because they help keep your home safe. We wanted to show how some of our favorite lights and cameras can work together. LIFX lights and Arlo cameras work very well together and it’s really easy to setup. In this article, we will use LIFX with Arlo to show how well these devices enhance each other. Affiliate Disclosure: This page contains affiliate links, which earn us a commission at no cost to you. Disclaimer: The writers of this blog received free samples of the products for review. They were not compensated in any other way. The opinions are 100% their own and not influenced. 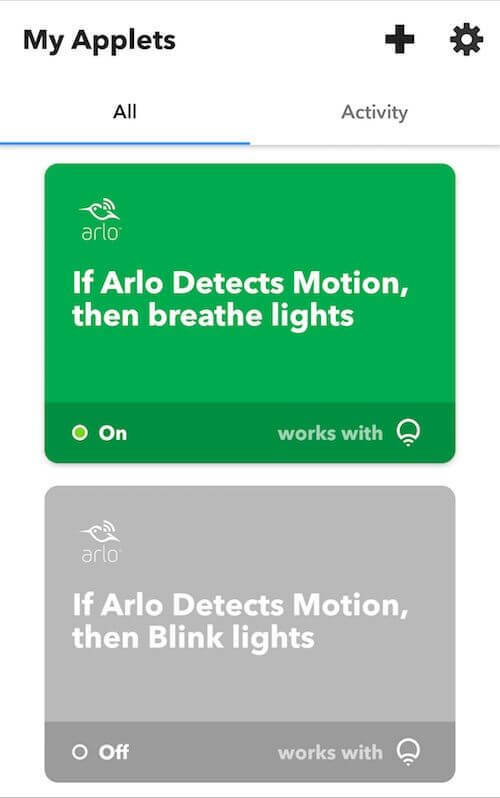 Arlo and LIFX both use IFTTT (If This, Then That) which makes it really easy to connect the two. There are many reasons why you would want to connect both of these devices. For example, say you had an Arlo Pro camera in the front of your house and LIFX lights in your family room (exactly like my personal setup). If you are not home and someone walks in front of your house at night, you can program the LIFX lights to turn on. You can also have the lights flash a color if they detect motion or sound. Here is how easy it is to setup. Download and open the IFTTT app. Choose My Applets at the bottom and then the + symbol at the top. This will open up creating your own “Applet,” or recipe as they used to be called. Click on this and select Arlo. Choose the camera you want to detect motion or sound. Select that and choose LIFX. We found that the blink lights mode was not as good as the breathe lights. Blink lights mode changes the color and then doesn’t change it back after blinking, while breathe changes the color and then change it back. You can also configure it to turn the lights on and stay on. Our lights turn red when our outdoor Arlo Pro detects motion, giving us a heads up before someone comes to the door. 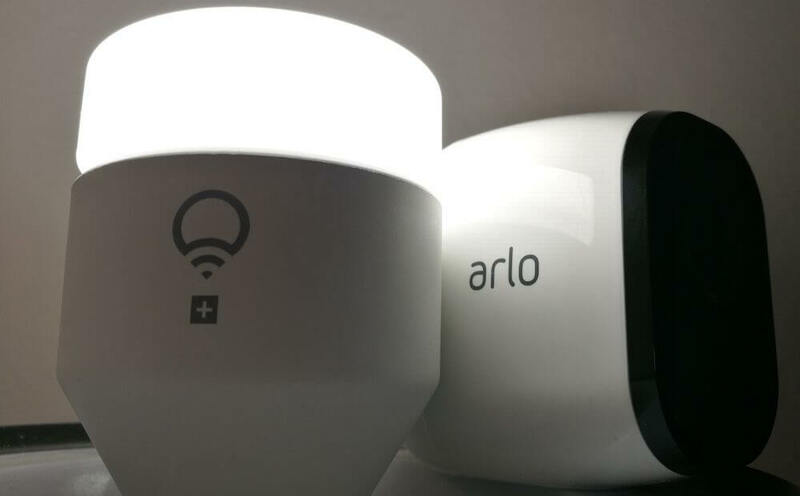 The only negative of having the lights turn on and stay on when Arlo detects motion is that you can’t configure it to only work at night. To find a solution around this, we tried to set two IFTTT triggers, one to turn on the lights during motion, and the other to slowly turn off the lights. This worked the first time but didn’t work the second time. ? LED lights don’t consume much energy though, so it may not be a big deal to some people. 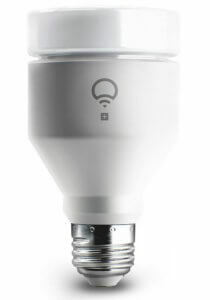 If you are not too familiar with LIFX Plus, it’s similar to a LIFX Color 1000 with millions of colors, warm and soft whites. The difference is that LIFX Plus also has infrared built in. The infrared light always stays on, even when the main light is off. With the latest app update, you can now turn off or adjust the infrared brightness. However, keeping it always on allows infrared cameras to extend their viewing distance at night. LIFX Plus is compatible with any current or existing infrared camera. To test out how well the LIFX and Arlo work together using infrared, we tried a few areas around our house. 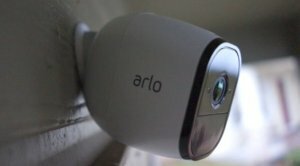 We are using Arlo Pro in this article because Arlo Pro has a very good infrared camera. 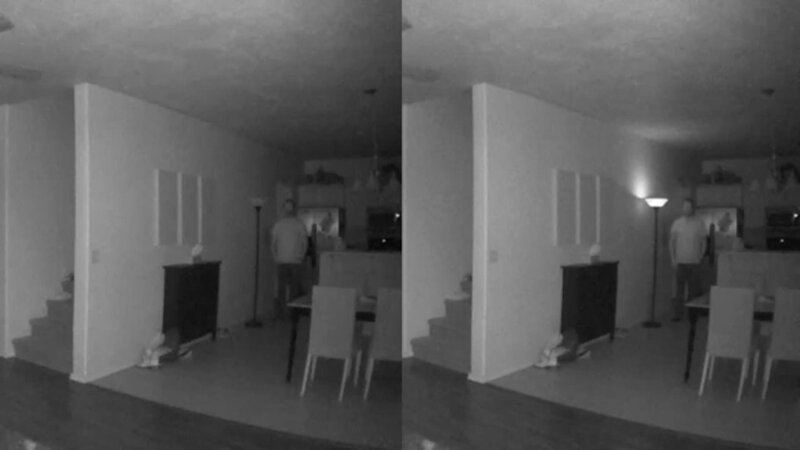 As you can see, the Arlo Pro infrared camera is already very good. We tested out the LIFX Plus with a lower quality camera in our LIFX Plus review and the LIFX Plus made a much bigger difference since the camera’s IR was pretty weak. Here is another shot of LIFX Plus displaying on the Arlo Pro in a different part of the house. From this view, the lights help a lot more because this part of the house is even darker. Even though the infrared isn’t super bright, it does make a difference in those really dark or distant areas. At first glance, you wouldn’t even see a person in the left image compared to the right one. Since Arlo Pro works outdoors you can use the LIFX Plus BR30, which is designed for outdoor use. Overall, LIFX with Arlo is a great smart home combination and very helpful in boosting security around the house. It’s been really nice to have the lights flash and know someone is at the door. There are so many unexpected uses, like when we are making a smoothie or listening to a loud movie and wouldn’t have heard a knock at the door otherwise. 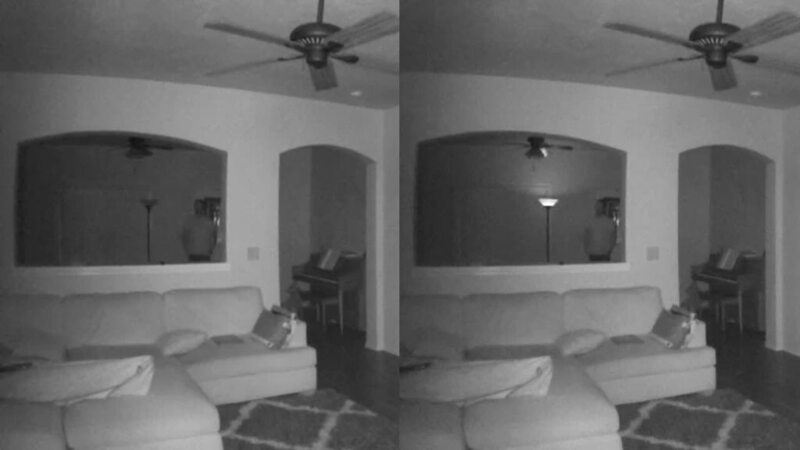 If my wife hears a noise in the night and assumes a mass murderer is in the house, I can show her on the cameras with the infrared LIFX Plus that no one is there. These examples are just scratching the surface of our Arlo Pro ideas. For more ideas, download our free list below.